Researchers pay to have their work published in the journal. The journal asks other eminent academics in the relevant field to review the paper for free. Universities and other institutions pay for subscriptions to the journal. THIS IS A HUGE RORT!! I swear, these guys must have baby seal fur-lined swivel chairs, Porsche cars for each day of the week and probably a money pool in their London N1 office. Otherwise, I don’t know how they would pass the time. What do they do!?! Which makes this development all the more hilarious. The Nature Publishing Group (NPG) has decided to increase the subscription fees it charges to universities by 400%! 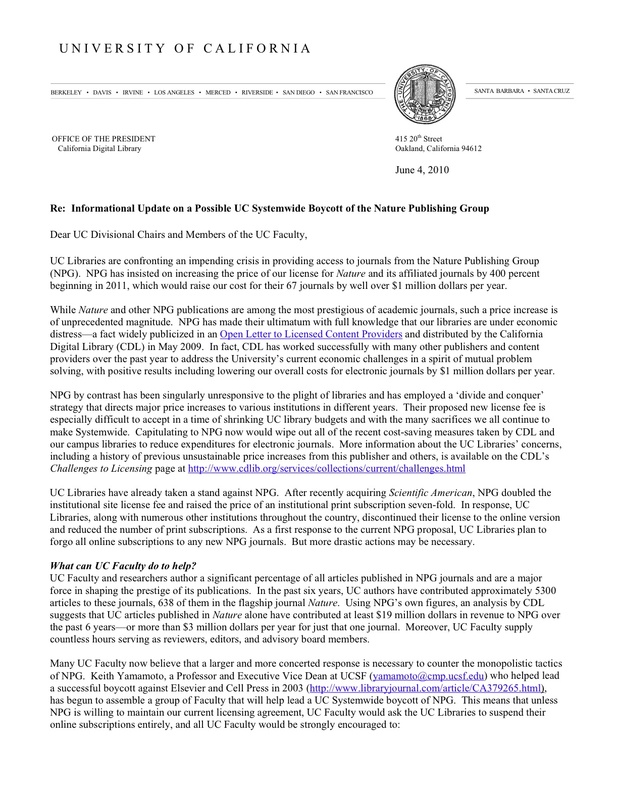 NPG has insisted on increasing the price of our license for Nature and its affiliated journals by 400 percent beginning in 2011, which would raise our cost for their 67 journals by well over $1 million dollars per year. The nerve of those guys! Philip Campbell is the guy running the NPG show at the moment. If you want to find him, he’s the one stumbling out of a Soho nightclub at 7am, being held up by Kate Moss. Next Next post: First Anniversary!